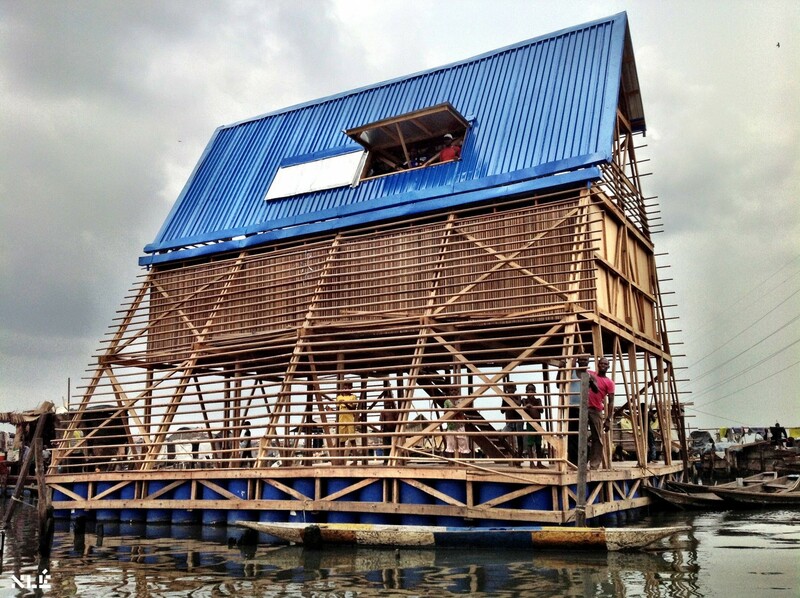 Built on floating barrels in the lagoon heart of Nigeria’s largest city, Lagos, the eco-friendly Makoko Floating School addresses the needs of its historic water community. 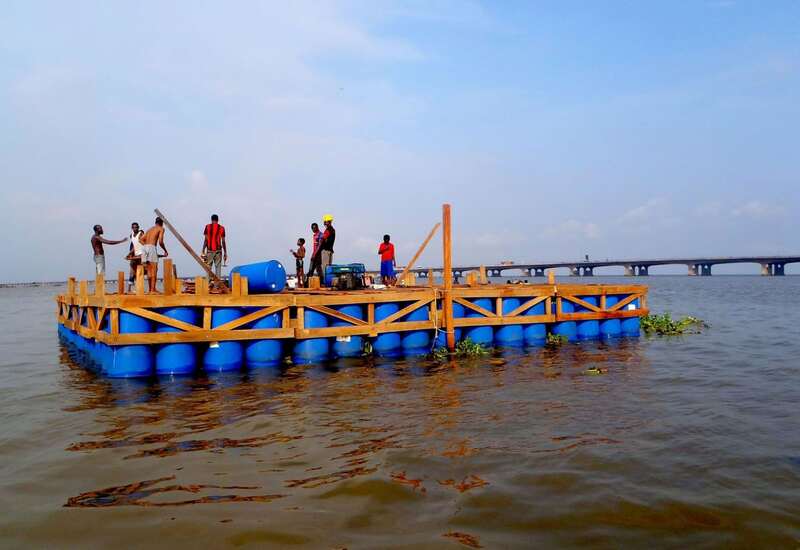 Climate change has caused unpredictable water levels and regular flooding. 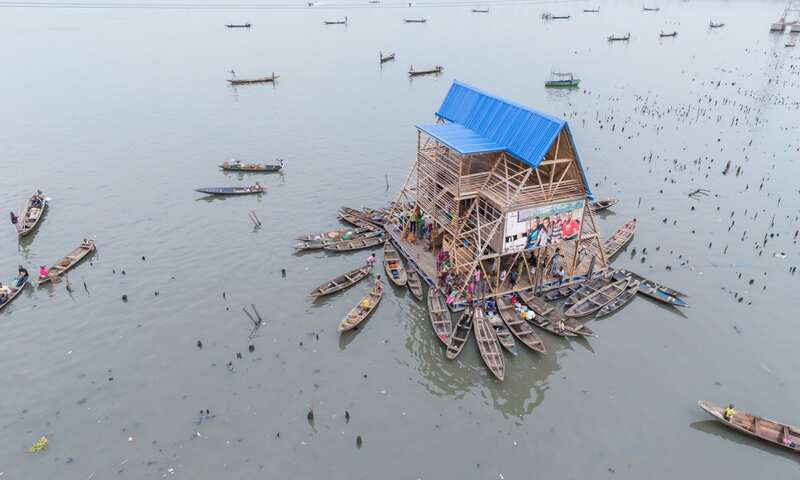 Adapting to tidal changes and varying water levels, the half-building, half-boat is designed to use renewable energy, recycle organic waste and harvest rainwater – and serves as a prototype for building in African regions that have little or no permanent infrastructure. 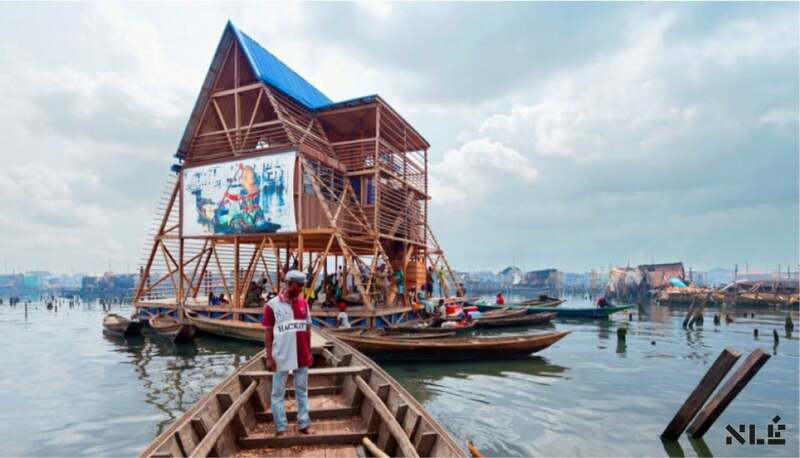 Tags: Architecture, cities, Community, Environment, Poverty, Water.